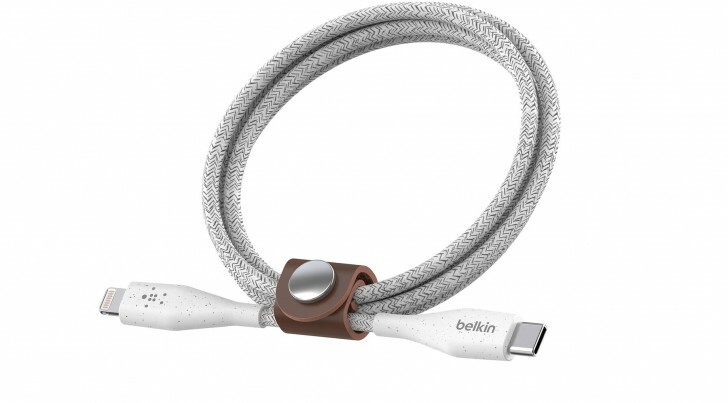 Accessory maker Belkin unveiled the first third party USB-C to Lightning cable at CES. Prices start at $25 for the 1.2m (4ft) cable, the longest cable is 3m (10ft) and costs $35. Competition is good for consumers, but in this case Belkin’s cables are not strictly cheaper. Apple’s 1m cable is $19, the 2m one is $35 (there’s no 3m cable). Still, as more third-party companies start offering such cables, the prices should fall. Belkin also unveiled a 20,000mAh battery bank with a USB-C port that delivers up to 30W along with a 12W USB-A port. Apple recommends a 30W charger for the 12” MacBook and 13” MacBook Air with Retina display, so you can extend their battery life with this BoostCharge power bank. I've seen them in the Dollar stores here in Canada for a long time now.